The pomegranate was introduced into Latin America and California by Spanish settlers in 1769. Today in the U.S. the pomegranate is cultivated in parts of California and Arizona. 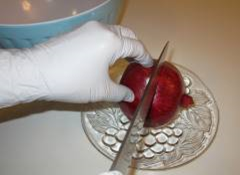 In the Northern Hemisphere, the fruit is typically in season from September to February and in the Southern Hemisphere, the pomegranate is in season from March to May. So there’s a good chance of finding this fruit any time at the market. These vitamins are important to daily bodily functions, but the most important health benefits of pomegranates are antioxidants. Pomegranates contain three times as many antioxidants as red wine and green tea. In fact, they contain the most antioxidants of any natural food” ( suite101.com ). 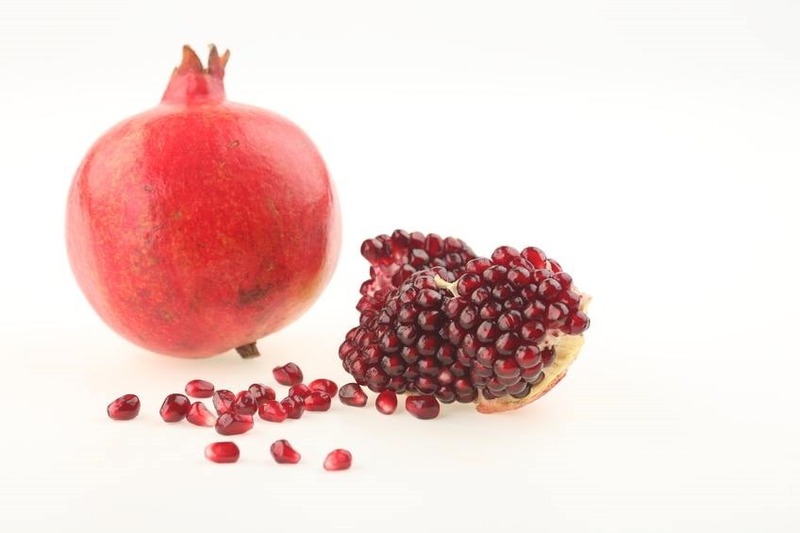 Pomegranates contain antioxidants, an element that combats the enzyme that eats away at cartilage. These antioxidants also help clear arteries of plaque helping to prevent heart disease. It also can lower blood pressure and the risk of stroke. As shown in this image the pomegranate looks like this, as shown on the left side. But when you open it, it can contain over a 600 seeds. How is possible to easily extract them without getting juice stains on your hands and clothing? Here are some images that a blogger has allowed us to use, Fae’s Twist & Tango, and the author of the blog is Fae. 2. 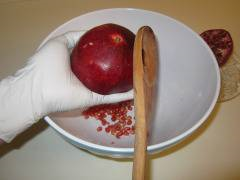 Using a wooden spatula, protecting your fingers, hit the pomegranate hard all around. In a matter of seconds all seeds fall out! 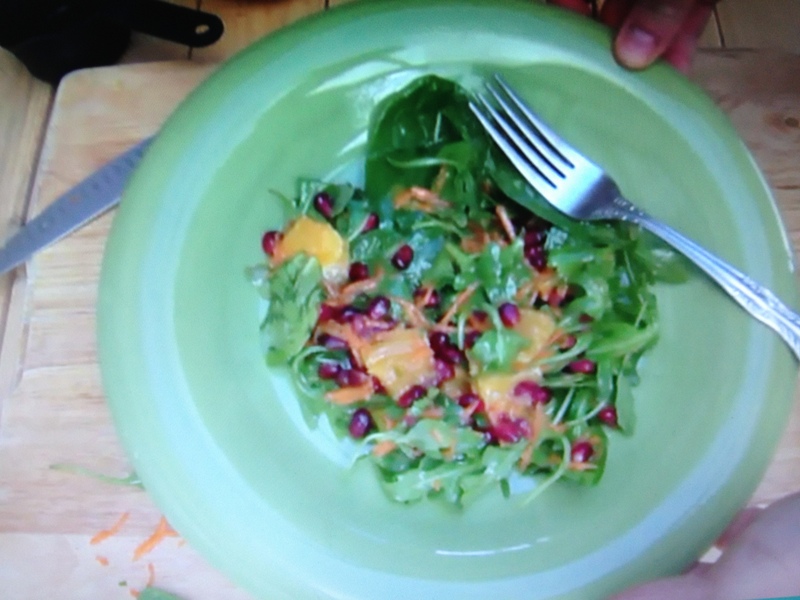 This entry was posted in Soups and Salads and tagged Antioxidant, antioxidants, pomegranate, vitamins. Bookmark the permalink. Thanks Jovina. It was a great salad. Thanks for stopping by and leaving your thoughts on the article.